Remove everything from your pantry so that you have a blank slate. Go through all your food, and determine what you eat on a regular basis. Purge or donate the rest. 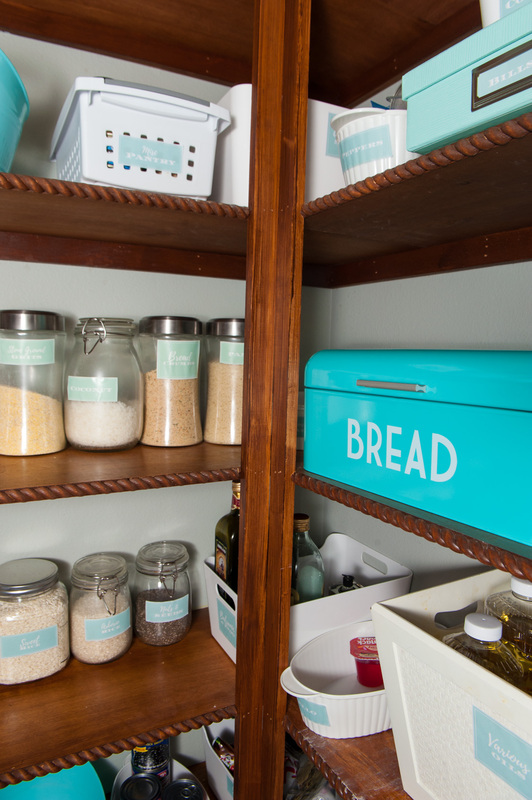 Your pantry looks its best when it’s not cluttered. 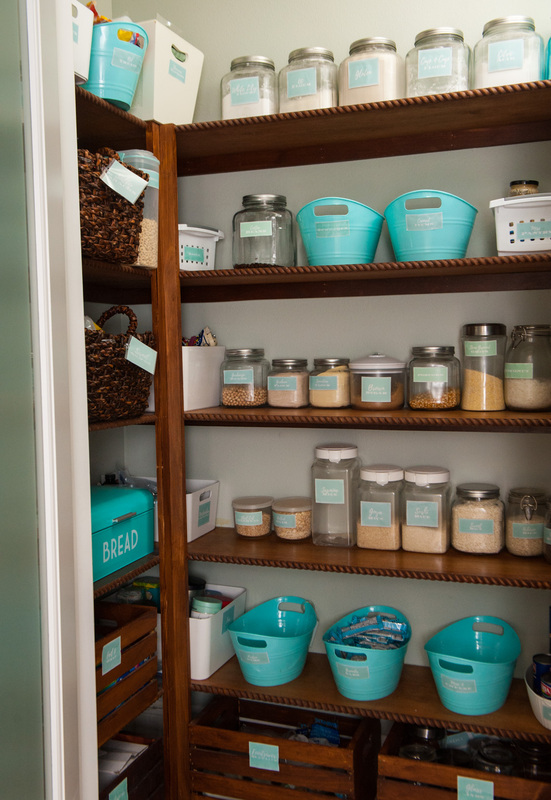 Yes, even my pantry has a color scheme of brown, white, and teal which makes it all look cohesive. 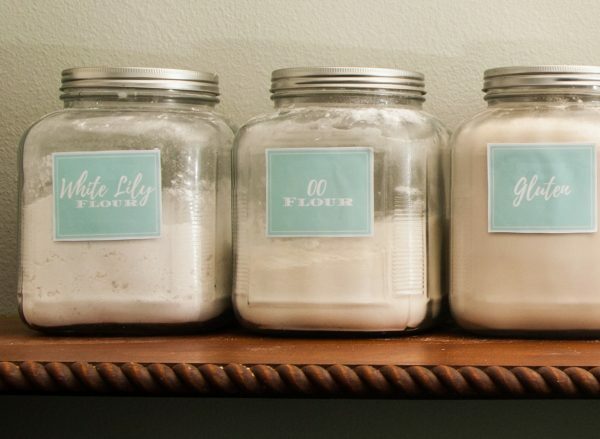 Rethink the way you store your pantry essentials. 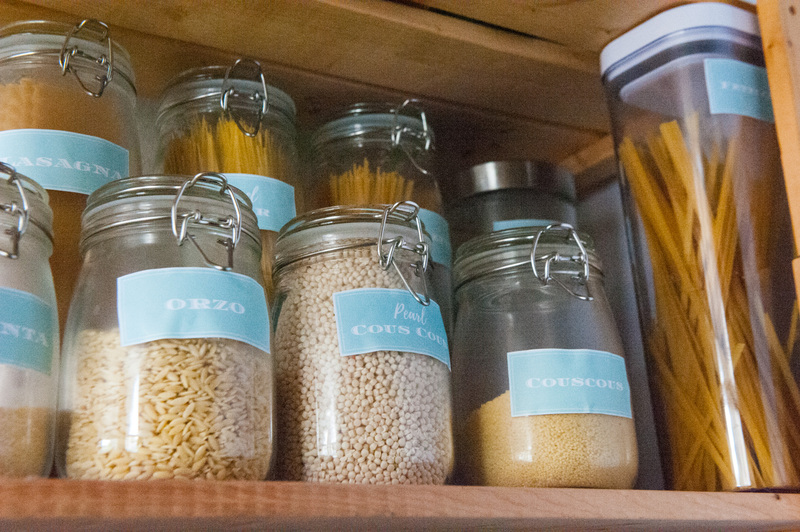 Pantry staples like rice, pasta, and grains look amazing in glass jars with labels. Label your glass jars so you can clearly identify what is in each container. We have created lovely teal labels that are available to all our subscribers as a gift- you’re welcome! If you desire a larger collection of labels (Nikki’s entire collection) you can purchase them on my Etsy store here. 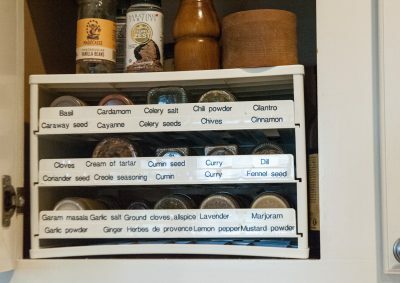 If you buy my large collection of labels, feel free to copy how I have organized food into categories. If teal is not your thing, we can design these labels with your color in mind by making custom labels on Etsy here. 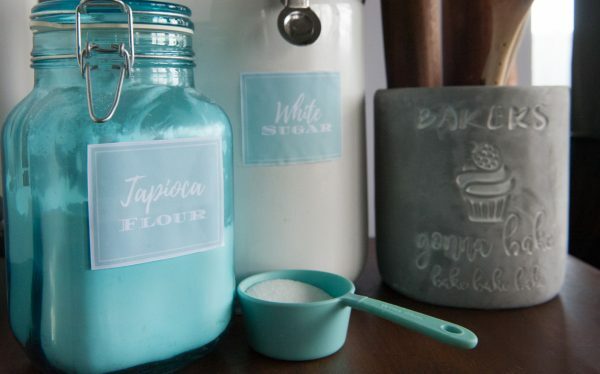 Start collecting other containers that suit your needs. We often have bread or baked goods that we love storing in my retro bread box, and the larger white containers are perfect for holding oils, vinegars, and canned goods. A teal paper box stores all my pending papers that I will eventually go through so I make sure they do not clutter my countertop. All my pastas and grains are nicely contained in my favorite glass jars. Use a Dymo label maker to notate how many minutes each pasta or grain cooks and place it on the back of the jar. 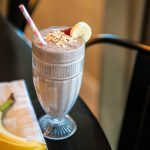 We try to keep a large selection of pantry items so that I don’t have to trek to the grocery store each day. 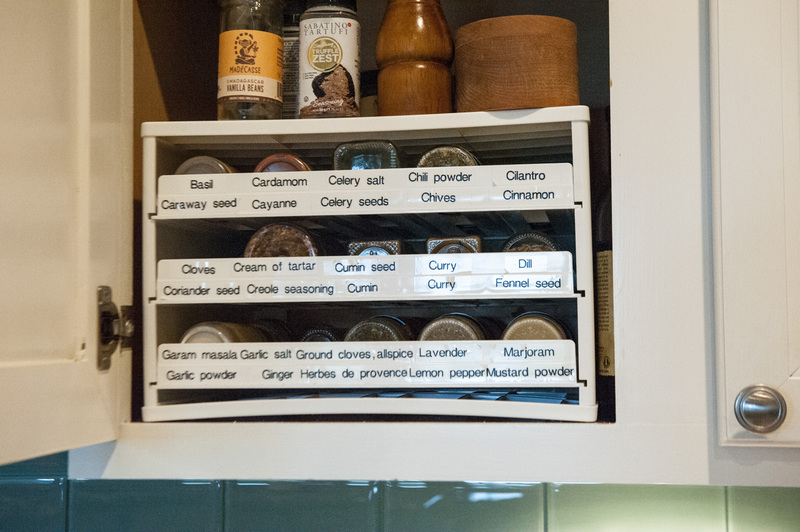 Here is my favorite way to organize spices using this organizer and my Dymo label maker. 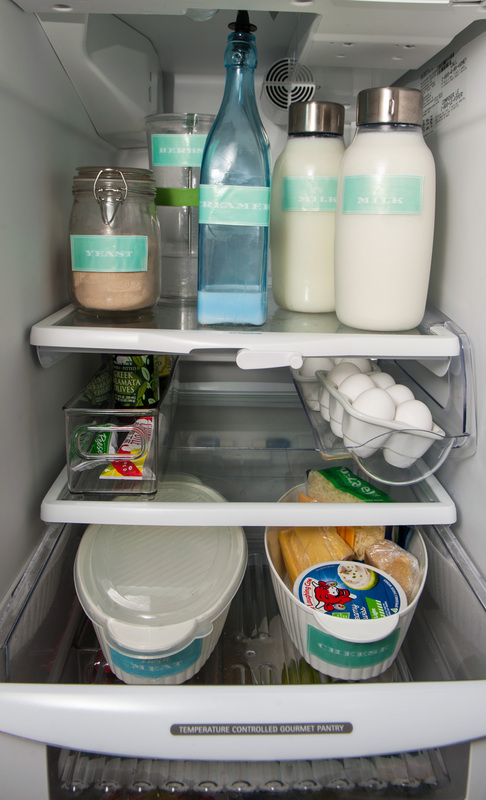 Welcome to our neat and tidy refrigerator that still carries the theme of white and teal with our handy labels. We have been loving the teal glass bottle for creamer with an added pour spout. 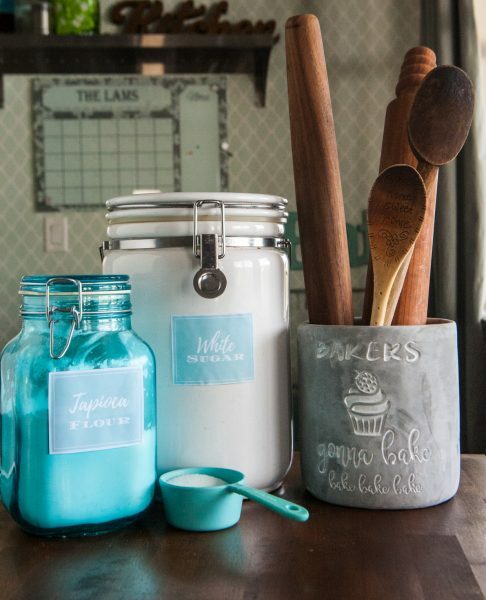 I have a bunch of these teal glass jars and use them for everything from serving water at the dinner table, to storing my coffee syrups. In the drawer, we have these two white containers that store various cheeses and lunch meat. 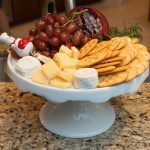 When you group all the cheeses together in one white container, it has a cleaner appearance. You will find these containers all over my kitchen and use them with and without the lids. White labeled bowls are placed in the refrigerator to display the foods I want my family to eat. 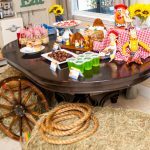 Funny thing is that when you put items like apples front and center, people eat them! 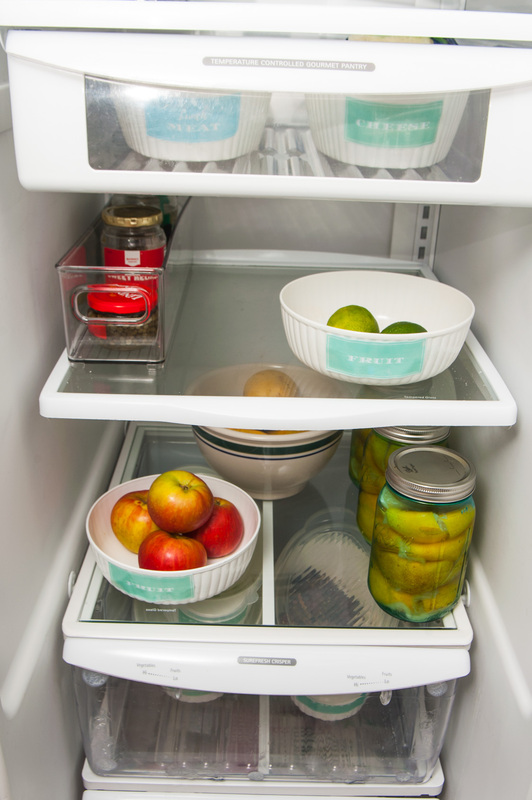 Clear long containers are great for storing similar items like pickled food. 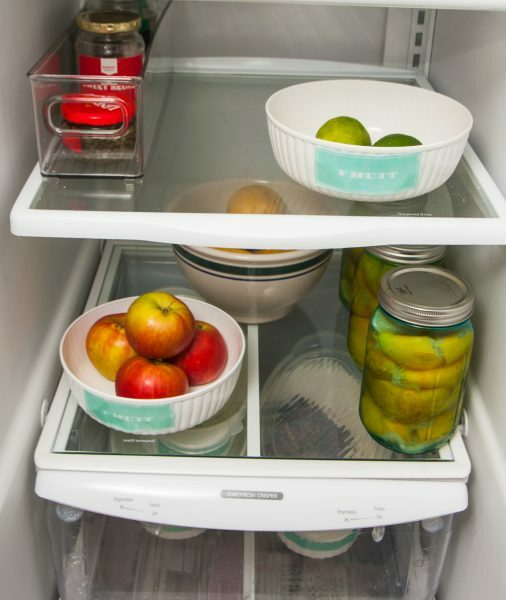 I will link our refrigerator and pantry items below. 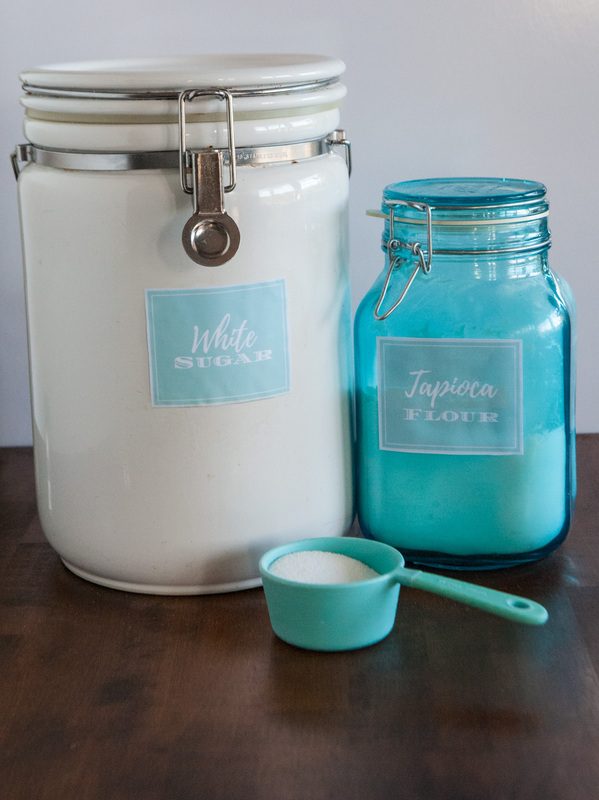 When you place your labels on your jars, you will want to make sure you have a plan for either removing them or making sure you can get them wet. One option is laminating your labels and putting them on your container with removable adhesive dots. Another option is to print out your labels on a waterproof paper like this one or this one from Online Labels. 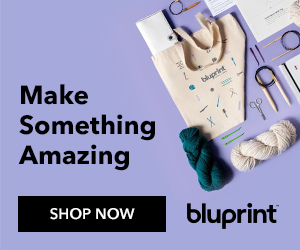 Companies like Online Labels offer printing services here if you’d like a more durable label printed with a laser printer (which seems to work better than inkjet printers). 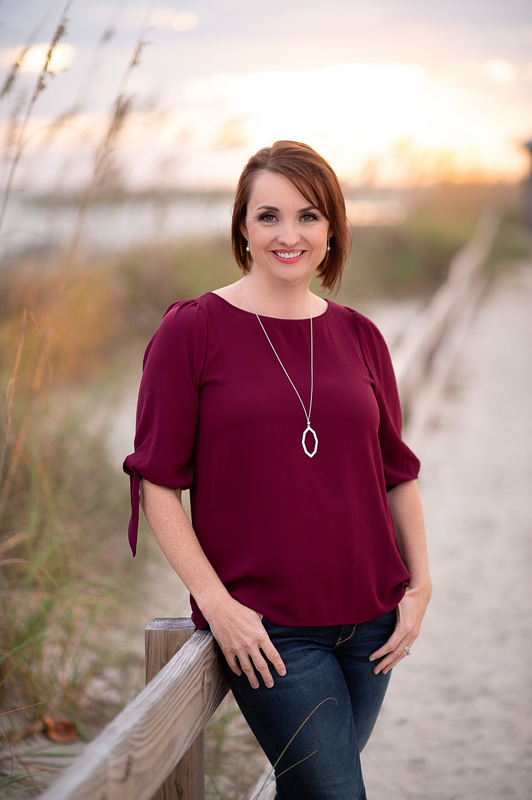 The labels that I receive from Online Labels are very affordable and high quality. 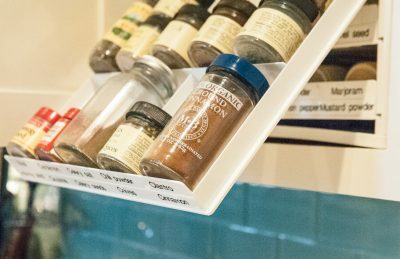 That spice organizer is going on my list!! I love that spice organizer Kayie! I used to get so mad when I would buy a spice only to find out that I already had it at home. Now I instantly know where every spice is. Thanks so much Tamara! Once I got started with organizing my kitchen it was actually fun. Thanks so much Shan! Teal is my weakness. LOVE the Marie Kondo method and have finished all of our closets. Not the pantry yet though, you’ve inspired me! 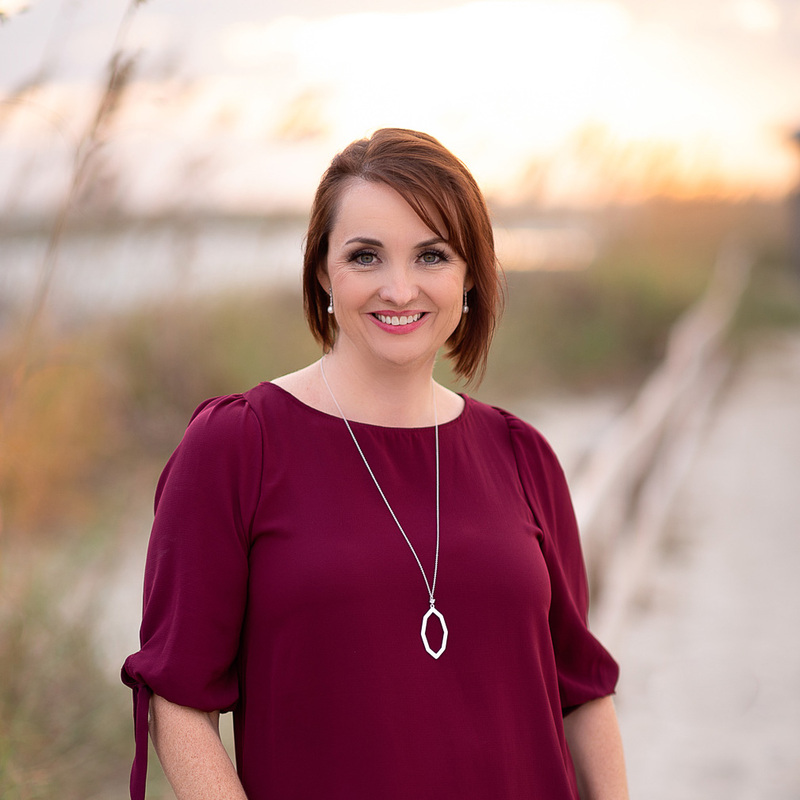 Thanks so much Leigh! I love the Marie Kondo method as well. 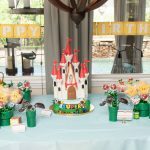 It takes some time and effort at first but is SO worth it in the end. I find I enjoy the house so much more when things are neat and in their place. Thanks so much Marina! Re-organizing your kitchen takes a little bit of effort but it’s so worth it in the end. I find so much joy in my kitchen now. I can find everything easily and do not buy something I already have. 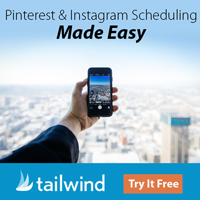 this is an amazing post, I love your organizational skills and these ideas are great!